3D Dynamic Focus CO2 Laser Marking/Engraving/Cutting Machine is equipped with high power RF laser tube imported from America. The RF CO2 Laser Machine can work in 200W high power with high precision, high speed and long working lifetime. 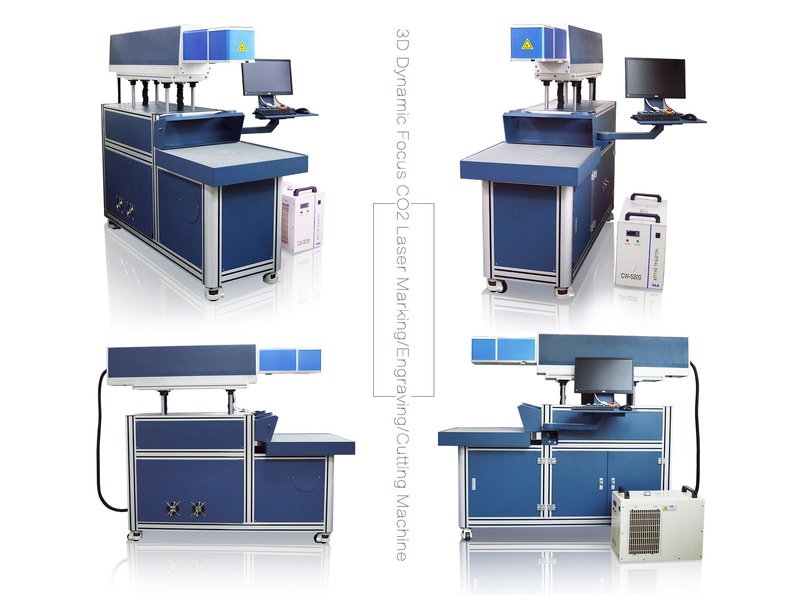 3D Dynamic Focus CO2 Laser Marking/Engraving/Cutting Machine is Equipped with hi-tech dynamic focusing scanning mirror and control card, it is excellent in the aspects of algorithm optimization, high speed of marking and cutting, and other powerful functions. It is specially designed for the laser scanning with tiny light spot, large working range and high flexibility. Furthermore, this equipment is characterized by high strength in use, compact construction, dust-proof, convenient and accurate installation, strong anti-jamming ability, which can ensure the stability of the system under long-hours working conditions. 3D Dynamic Focus CO2 Laser Marking/Engraving/Cutting Machine is used for marking in leather carving, hollow-out leather, greeting cards, and laser marking in woods, and laser firing in jeans wear and other laser marking technologies of nonmetal. 3D Dynamic Focus CO2 Laser Marking/Engraving/Cutting Machine is suitable for almost all non-metal materials, including leather, rubber, wood board, bamboo products, organic glass, ceramic tile, plastics, marble, jade, crystal, cloth, etc. 3D Dynamic Focus CO2 Laser Marking/Engraving/Cutting Machine is used for arts, crafts, leather products, glasses, clothing, bamboo and wood products industry, package, advertising decoration and architectural model. License: The text of "3D Dynamic Focus CO2 Laser Marking/Engraving/Cutting Machine with 200W high power RF laser tube" by STYLECNC is licensed under a Creative Commons Attribution 4.0 International License. How much does a laser cutting machine cost?